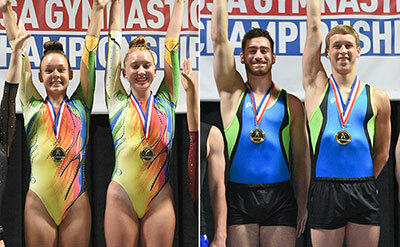 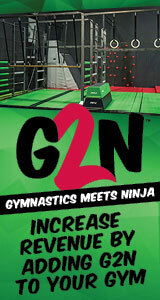 GREENSBORO, N.C., July 4, 2018 – Olivia Simpson of Lubbock, Texas/Air Extreme, and Lexi Vigil of Levelland, Texas/Acrospirits; and Paul Bretscher of Huntsville, Ala./Merino Trampoline Gymnastics Academy, and Cody Gesuelli of Huntsville, Ala./Merino Trampoline Gymnastics Academy, won the women’s and men’s synchronized trampoline titles, respectively, at the 2018 USA Gymnastics Championships, the national championships for acrobatic gymnastics, rhythmic gymnastics, and trampoline and tumbling, in Greensboro, N.C. Competition resumes tomorrow. 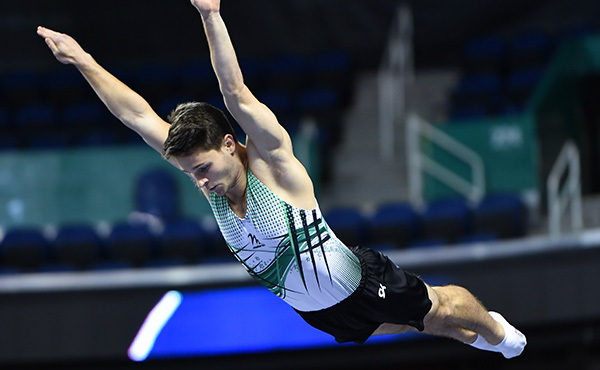 In the senior men’s competition, the duo of Bretscher and Gesuelli won the title with a two-day total of 135.300 for first, followed by Jeffrey Gluckstein of Atlantic Highlands, N.J./Elite Trampoline Academy, and Aliaksei Shostak of Youngsville, La./Trampoline and Tumbling Express, whose total score was 131.000. 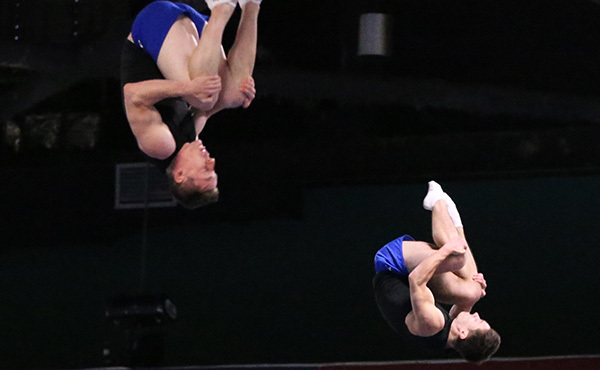 Joseph Isenberg of Martinsburg, W.Va./Elite Trampoline Academy, and Ruben Padilla of Oakley, Calif./Tornado Sport Club, were third (67.800). 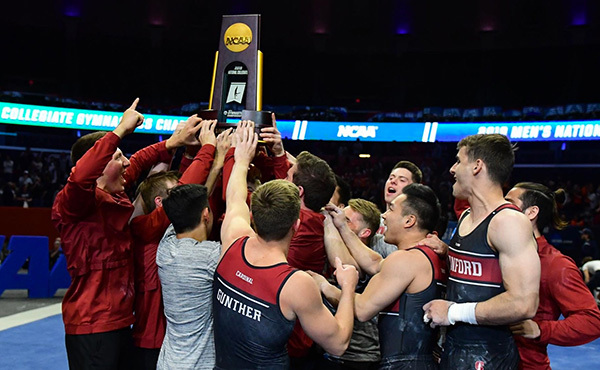 Simpson and Vigil took top honors for the senior women with a total score of 128.600. 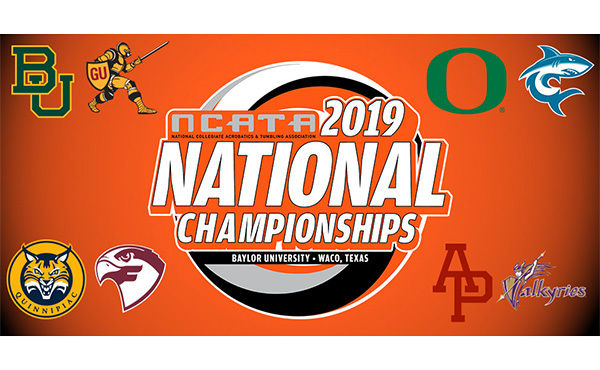 Susan Stringfellow of Frisco, Texas/Eagle Gymnastics Academy, and Trinity Van Natta of Hilliard, Ohio/Integrity Athletics, landed in second with a two-day score of 117.200. 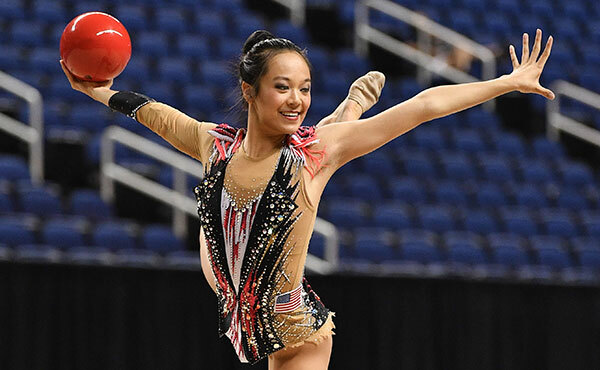 Charlotte Drury of Laguna Niguel, Calif./World Elite Gymnastics, and Alyssa Oh of Rocklin, Calif./World Elite Gymnastics, rounded out the medal podium courtesy of a 94.500 total. 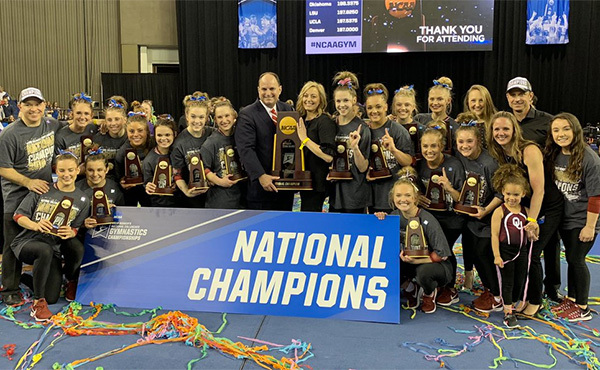 Nicole Ahsinger of Lafayette, La./Trampoline and Tumbling Express, and Sarah Webster, Lafayette, La./Trampoline and Tumbling Express T&T Express, were fourth (43.200).